Forschung: Phase-3-Studie zu Midazolam-Nasenspray abgeschlossen - ts-stiftungs Webseite! USL261 is a novel, investigational midazolam formulation, specifically designed for intranasal delivery, being developed for the rescue treatment of seizures in patients who require control of intermittent bouts of increased seizure activity, such as seizure clusters or acute repetitive seizures. It is intended to be delivered intranasally, without active inhalation by the patient. "The primary efficacy results observed in the pivotal phase 3 clinical trial were both statistically and clinically significant. These findings suggest that midazolam nasal spray could be an effective rescue treatment option for patients and caregivers who live with seizure clusters, subject to FDA review," said Bill Pullman, MB, BS, BMedSc, PhD, FRACP, President, Proximagen. "This is an exciting development because to-date, rescue treatment options for seizure clusters have been very limited. We look forward to working with the FDA and submitting a new drug application for midazolam nasal spray later this year." 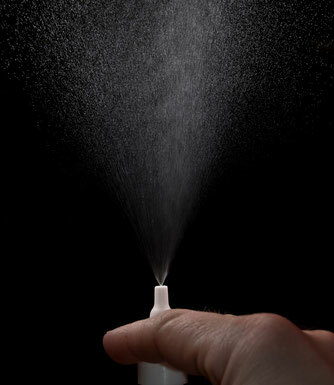 "Given the challenges and unmet needs of those living with seizures, we are very encouraged by the results of the Phase 3 trial of midazolam nasal spray. While there is still work to be done to put this medication into the hands of patients, I'd like to take this opportunity to thank our investigators, along with the teams at Upsher-Smith and Proximagen who have brought us to this major milestone," said Mark Evenstad, CEO of ACOVA. "I am very proud of the important work that Proximagen is doing to help patients and their families by discovering and developing innovative therapies." Proximagen's parent company Upsher-Smith Laboratories, Inc. recently announced an agreement to sell its generics business to Sawai, a Japanese publicly traded and family run generics pharmaceutical company. Following closing of this acquisition, Proximagen will cease to be a wholly-owned subsidiary of Upsher-Smith and will instead become a wholly-owned subsidiary of a newly created holding company, ACOVA. The Evenstad Family will continue to fund Proximagen through ACOVA. Proximagen will retain its existing pipeline of small molecule NCE programs, including two programs in clinical development. In addition, Upsher-Smith's intranasal midazolam program for seizure clusters (formerly known as USL261) will become part of Proximagen's pipeline. The study, ARTEMIS1 (Acute Rescue Therapy in Epilepsy with Midazolam Intranasal Spray) was designed to evaluate the efficacy and safety of USL261, an investigational formulation of midazolam delivered intranasally, for the outpatient rescue treatment of seizure clusters. The primary efficacy endpoint of the study was Treatment Success, defined as achieving both of the following: 1) termination of seizure(s) within 10 minutes after study drug administration, and 2) no recurrence of seizure(s) beginning 10 minutes after administration of study drug to six hours after study drug administration. To be eligible for the trial, participants had to have a diagnosis of epilepsy, a history of seizure clusters and an adult caregiver who could recognize, observe and record seizure cluster episodes. The adverse events observed with USL261 in this study were generally consistent with the known safety profile for midazolam, intranasal drug delivery, and those previously observed across the clinical development program to date. Proximagen and its predecessor companies have a long heritage in discovery and development of novel small molecule therapeutics, in particular in the areas of CNS, pain and inflammation, and was acquired by Upsher-Smith in 2012. Proximagen has an integrated drug discovery facility based in Cambridge, UK and has developed a pipeline of innovative small molecule therapeutics. The Proximagen pipeline includes a Phase II VAP-1 inhibitor program in inflammation that is partnered with Roche, as well as internal development programs including a CXCR4 antagonist in Phase I targeting oncology indications and a Dopamine D1 positive allosteric modulator in preclinical development targeting cognitive disorders. For more information, visit www.proximagen.com. Haut SR, Shinnar S, and Moshe SL. Seizure Clustering: Risks and Outcomes. Epilepsia. 2005;46(1):146-149. Kobau R, Zahran H, Thurman DJ, et al. Epilepsy Surveillance Among Adults – 19 States, Behavioral Risk Factor Surveillance System, 2005. MMWR. 2008;57:SS-6. Kwan P, Brodie MJ. Early Identification of Refractory Epilepsy. N Engl J Med. 2000;342:314-319. Berg AT, Vickrey BG, Testa FM, et al. How long does it take for epilepsy to become intractable? A prospective investigation. Annals of Neurology. 2006;60:73-79. Haut SR, Lipton RB, LeValley AJ, et al. Identifying seizure clusters in patients with epilepsy. Neurology. 2005 October 25;65(8):1313-1315.